Unusually late dinner plate made for White Star in November of 1934, just before the official date of the merger with Cunard. The date is impressed into the back of the plate. 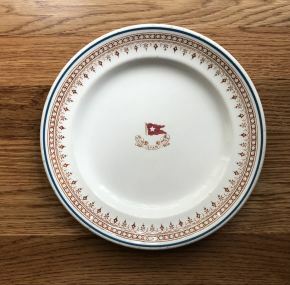 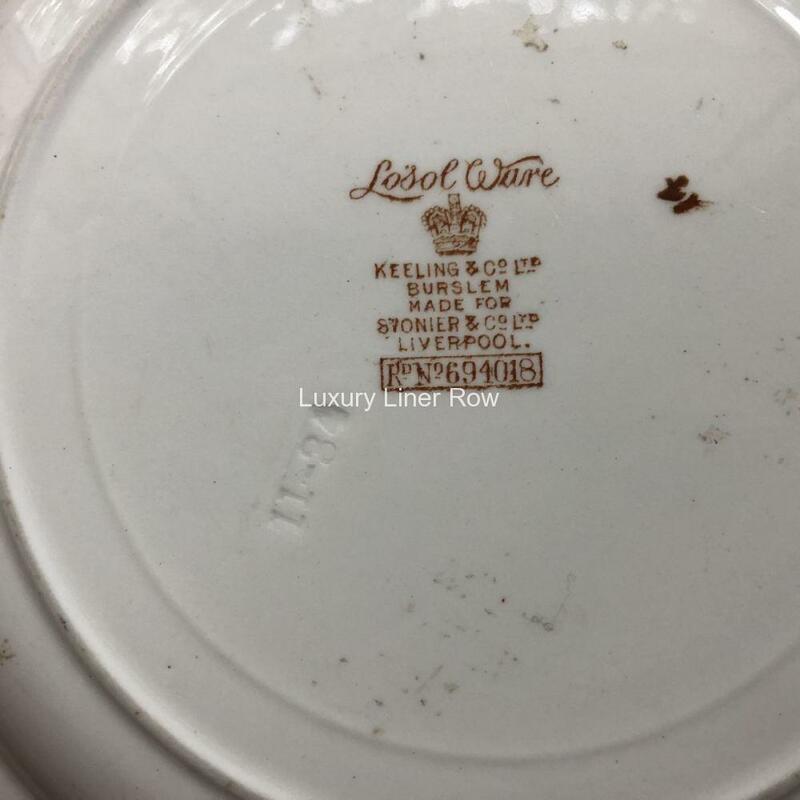 One of the last pieces of china that White Star ever ordered.